Invest to Grow is a programme designed to support private sector businesses, predominantly in the form of loan funding, to grow and create jobs. 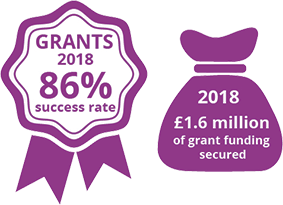 Grants or loans – according to the needs of the business – are available for up to 30% of the cost of investment to help create long term sustainable job growth. The business has to find private sector funding for at least 70% of the project cost. Minimum award size is £15k, so the minimum project cost is likely to be £50k. Maximum award size is £250k although higher awards can be considered for projects which offer exceptional value for money. The programme is aimed at priority growth sectors such as Transport Equipment Manufacturing, Life Sciences, Construction, Food & Drink Manufacturing, Logistics, Low Carbon and Creative Industries. The project must be located in the East Midlands.